Air One produces some of the country's best panoramic photographs, subjects ranging from Chicago skyline photos to lighthouses. We carry over 150 different city skylines worldwide. Purchase photos to spruce up any room or give them as gifts for that hard to buy for friend. We not only have a great library of images for sale but our services continue into special graphics work. Photo restoration, film scanning and retouching, large format printing and of course, aerial photography. If you have a special photo of a child, loved one, house or wedding photo, we can turn that into a spectacular pencil sketch or painting and then print it on canvas. Prices start at $50.00. It's inexpensive and it will Blow You Away! Air One Custom Photography shared a post. Not going flying today! At the Porter County Regional Airport watching a storm roll in. Great start to a weekend after a long week! 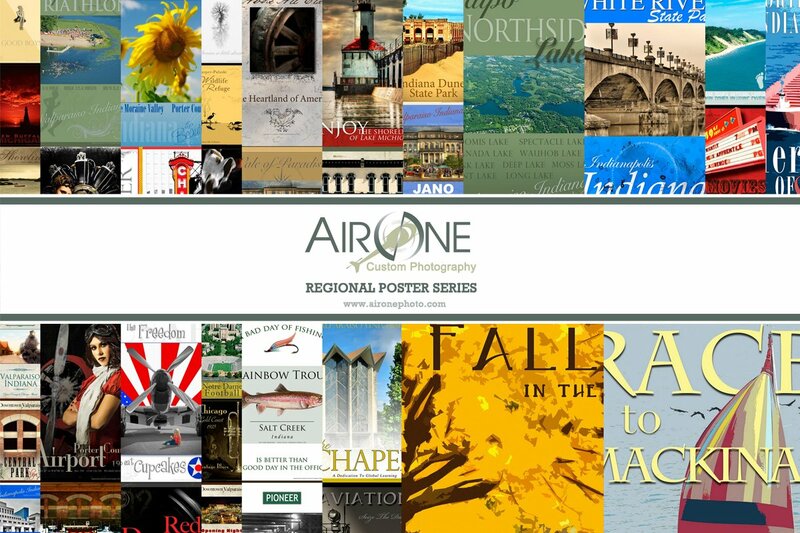 RT @LPCLife: #ShopLocal this holiday season - get a great gift for someone featuring a #nwindiana landmark from @AirOneInc!